The Public Record publishes a regular newsletter, we post it at the end of each day, sign up to get future editions delivered to your inbox in the mornings, or see our archives. 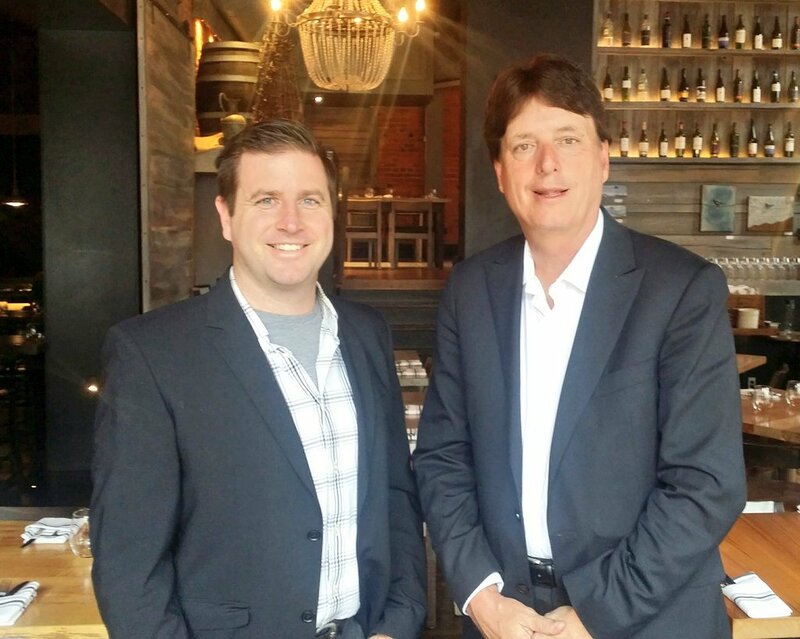 Registered Ward 8 candidate John-Paul Danko met with incumbent Ward 8 Councillor Terry Whitehead yesterday; tweeting positively of the meeting and about Whitehead. Whitehead declared last week he will not be running for Mayor. The current Ward 8 is now split between the new Ward 8 (where Danko is running) and a new Ward 14, with most of the current Ward 8 in the new Ward 14. This tweet indicates (at least to me) that Whitehead will be running for re-election in the new Ward 14. Asked about the meeting, Whitehead declined to confirm if it means he’s running in the new Ward 14. Penny Deathe is seeking re-election in Ward 15 as Public School Trustee. Deathe filed her papers on Wednesday at City Hall. Deathe is an extremely close political ally of Ward 15 Councillor Judi Partridge. Partridge campaigned on Deathe’s behalf in 2014, which Deathe won by only 11 votes over Nick Lauwers. The race as was proxy battle between the Liberals and Conservatives. With the latest polling numbers showing the Ontario Liberals facing a historic defeat in the provincial election, Judi Partridge is unlikely to become MPP at Queen’s Park. Partridge confirmed Wednesday night that she intents to seek re-election to City Council in Ward 15 if she is unsuccessful in the June 7 provincial election. (If Partridge is successful, Deathe can still register to run for the Council seat Partridge will vacant. The Ward 8 City Council seat is looking to be an open contest with no incumbent, so we can expect a long list of hopefuls. The latest to register is Anthony Simpson. Our full list of candidates is updated with his name. Ward 10 City Council candidate Ian Thompson’s website is now live, and he wants to you know he is a Property Tax Payer, with NEW ideas for a NEW era in the NEW Ward 10. His early platform planks including hiring two new police officers for each ward in Hamilton to focus on dangerous driving, more Neighbourhood Watch programs, term limits for City council, and fiscal responsibility – citing Council’s free lunch program as one of the first things he’ll cut. 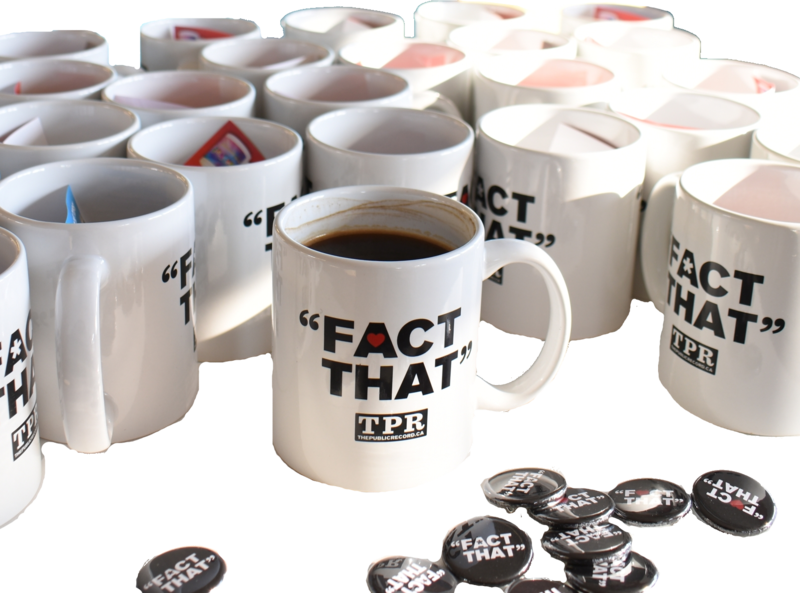 Join The Public Record’s Coverage: Send Us What the Candidates are Sending You! Be part of The Public Record’s Election Team, send up photos and scans of candidate materials, screencap Facebook ads that you see in your social media feed, and help all Hamiltonians know what the candiates are staying. Email them to electiondesk@thepublicrecord.ca, we’ll post all candidate materials to our website. A significant application not just for the proposed density and height on the site, but as a benchmark for planning city-wide. 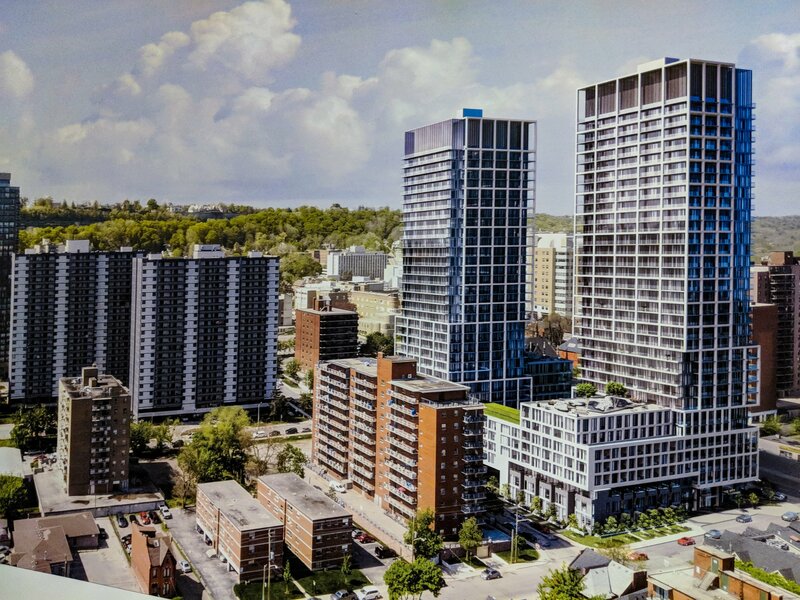 Slate Asset Management’s application will be close to the escarpment height ceiling for the Downtown, however, the buildings are not in the Downtown Secondary Plan area, which is why this application is significant city-wide as it is judged under the new Commercial Mixed Use Zoning in effect across Hamilton. The June 7 CoA agenda includes some interesting items. The owner of 40 and 44 Main Street in Waterdown wants to sever part of 44 and merge it into 40 for a future development. This has drawn nearby opposition, the original March hearing was adjourned in the hope of finding agreement among parties. The Public Record is an independent reader-funded local news outlet serving Hamiltonians, and made possible by our Press Club members. Join 27 fellow Hamiltonians as Press Club members and help both sustain and grow the future of local journalism right here in Hamilton. Local millionaire, and serial building namesake, Charles Juravinski is opposed to the current Greensville Elementary School and Hub proposal saying that the site lacks adequate parking, that his property will be exposed to diesel fumes from school buses, and that it will cause traffic problems in the neighbourhood. He proposed to buy land for the hub to be re-oriented, which was not entertained by the public school board. 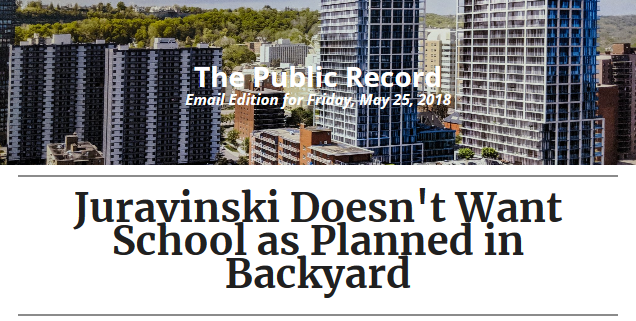 Juravinski is threatening legal action, The Hamilton Spectator reports. More great reporting from Teviah Moro in The Hamilton Spectator, this on a report from the Advocacy Centre for Tenants which finds that someone must make $18 per hour to afford a one-bedroom apartment in Hamilton. Moro’s summary of the report, and a link to the full report can be found in his story. The East Hamilton Rent Strike continues, with it’s GoFundMe campaign having raised $7250 to assist with legal fees. Former Hamilton Police all-star, now convicted corrupt cop, Craig Ruthowsky is going to jail for a long time, following Ontario Superior Court Justice Robert Clark’s decision to reject a Crown recommendation of a relatively light 10-year sentence. This is just the latest revelation of wrongdoing within the Hamilton Police Service; with calls now being made for a Public Inquiry to be held to determine how deep problems in the police force are. City Hall tells The Hamilton Spectator that an agreement was reached with Harbour West Nieghbours to drop their OMB appeal of the City’s new patio music bylaw after the City compromised by removing City lands managed by the Hamilton Waterfront Trust from the bylaw, and adding a bylaw officer to enforce the noise limit in the last hours of evening. The Royal Hamilton Light Infantry announced the death of Cpl Fred Engelbrecht Wednesday morning. Engelbrecht was one of the last two known living RHLI survivors of the 1942 Dieppe Raid. The Raid was Canada’s worst day of World War II and deeply scarred Hamilton. Funeral details have not yet been released. Ward 2 City Councillor Jason Farr is holding a public meeting on the future of the maybe, but not really except for bids being welcome, for sale Waterfront Trust Centre. The meeting is Monday June 4 starting at 6:30pm at the Hamilton Waterfront Trust Centre on Pier 8. The first 40 minutes is a tour, and then there will be 50 minutes for the public to share their ideas on future institutional uses for the site. “In the event of a CP labour disruption, we are now able operate trains into Hamilton GO Centre”, GO Transit says in a press release as Canadian Pacific Rail labour unions are in a legal strike position as of noon on Monday. John/Rebecca Park Public Information Session. The City of Hamilton is holding a PIC to unveil a new concept plan for the new Downtown Hamilton park, which is now funded for construction in 2019. The PIC is 6 to 8pm, at the Beasley Community Centre, 145 Wilson Street. Future of the Waterfront Trust Centre. Ward 2 City Councillor Jason Farr is inviting the public to a 40 minute tour of the Waterfront Trust Centre followed by 50 minutes of public feedback opportunity on the potential sale of the City of Hamilton waterfront asset. The meeting is from 6:30 to 8:00pm at the Pier 8 Waterfront Trust Centre. Winnipeg Mayor Wants Council to Show Up To Work. Winnipeg Mayor Brian Bowman – who was elected in 2014 having never sat on Council – is calling for proper accounting of Council attendance as Winnipeg Council struggles with quorum issues due to a lack of Councillors showing up to work. Bowman and the deeply entrenched career City Councillors have regularly clashed this term. Niagara Councillor Questions Pre-Election Councillors “Info” Flyers. A Niagara Regional Councillor is stating the obvious by questioning a series of pre-election Councillor “information” flyers being sent to “update” residents on the “achievements” of the scandal-plagued Niagara Regional Council. St. Kitts Councillor Brian Heit says the flyers cross the line into using tax dollars for campaigning. “We have to clean this up right now”. His fellow Councillors disagree. Carlton Place Councillor Agrees to Apologize, Enter Diversion Program, Assault Charges Dropped. Noted in previous TPR Email Editions, the assault charges against Coun. Doug Black were dropped in exchange for an apology and entry into a diversion program. Council sanctioned Black and Mayor Antonakos for their altercation. The Mayor was fined nine months pay – three months for each violation of the Code of Conduct. Windsor Resident Says Hospital CEO Shouldn’t Be Part of Setting Council Pay. A Windsor resident says the local Hospital CEO should not be involved in setting the pay of City Councillors as the hospital is seeking approvals to rezone a site for a new mega-hospital, she has filed a complaint to Windsor’s Integrity Commissioner. It’s a bit of a stretch to say the least, but it does get to the question of how should Council remuneration be set? MISA Ontario. For an awesome logo for their conference here in Ontario.